Summer concept. 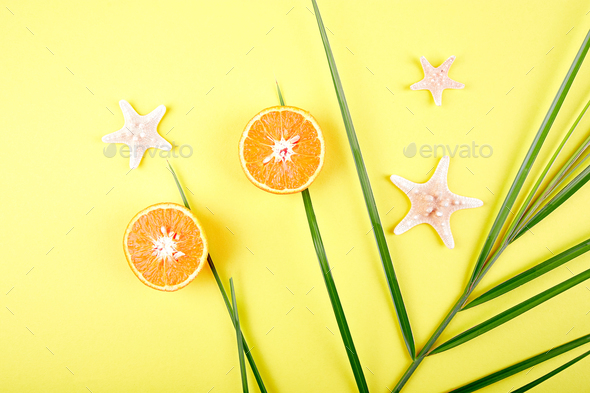 Orange fruit, starfish and palm leaves on yellow paper background. Flat lay. Copy space.